SCADA products from Essi Corporation help minimize exposure and maximize accountability through remote monitoring of your work sites. Supervisory Control and Data Acquisition (SCADA) provides the ability to monitor and control processes seemlessly throughout multiple sites. A robust SCADA system saves time and money by eliminating the need for expensive service personnel to conduct on-site inspections and to collect and log data. 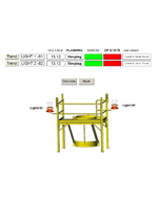 With Essi SCADA systems, you can remotely monitor, control and respond to environmental factors at your site. Integrated connectivity of multiple devices and equipment with secure, real-time and reliable reporting of mission-critical processes, means you are virtually present 24/7, 365 days a year. From construction, site preparation, equipment sales and customization to installation, hosted monitoring and alarms, our SCADA products division provides telemetry services for a range of needs. And with offices in Louisiana, Texas, Ohio and Pennsylvania, the division is well equipped to service the demanding shale drilling and production industry. Our experienced team works with you to design, source, install and monitor complete SCADA product solutions including Remote Terminal Unit (RTU) control panels with point-to-point or point-to-multi-point communication, wellhead monitoring, compressor monitoring, separator monitoring, tank monitoring and frac pond monitoring. The CEO MVT CIM applies proven “smart” technology to simultaneously measure three independent variables for gas and water flows. 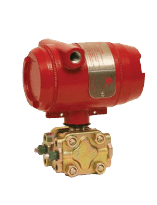 The MVT provides fast, audit-quality measurements of differential pressure, static pressure and temperature. 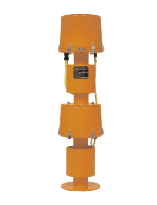 It can be used as a gas flow transmitter for orifice and V-Cone® meters or as a water flow transmitter for V-Cone meters. 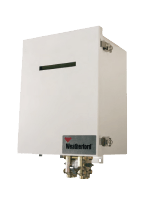 The CEO K-500 RTU provides multiple-well flow measurements and control, functioning as va master for remote input/output modules that perform wireless plunger lifts, well monitoring and well control. 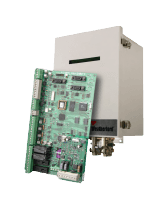 The CEO D-2000 RTU) provides multiple-well flow measurement and control, functioning as a master for remote input/output modules that perform wireless plunger lifts, well monitoring and well control. 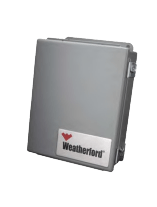 Weatherford ASA components expand I/O capacity, meet power requirements, provide communications connectivity, and supply the instrumentation interface for automation systems in remote oilfield operations. 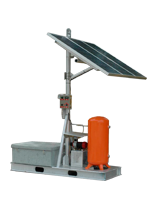 Our internally self-contained battery-powered callout box monitors wells, well compressors, pumps and tank level status. 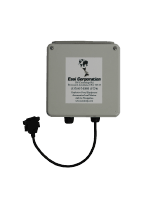 The box utilizes an Iridium modem to communicate via satellite back to an SSL secure website interface for secure offsite monitoring featuring email and text alerts when system faults occur.